Jesus, I recognize the root separations that started this war. Over all, the prime motive for war seems to be broken trust. Often in human history, when the agreements of leaders fail, the innocents of their tribe, nation, or state bear the bloodguilt. Their leaders began the cycle of murder with their words, thoughts and actions. Yet, the kind, the unknowing, the innocent pay for their heart-murder! Lord, will forgive us this offense against You! Forgive how good people on both sides of this issue were emotionally whipped up into an unnecessary frenzy that resulted in sickening cruelties! May town of New Ulm forgive the aggression of the estimated 100 Dakota soldiers. May the Dakota forgive the response of New Ulm and Henry Sibley. Jesus, I invite You into this attack to remind all of true, self-sacrificing justice. Will You give revelation from this date of August 19, 1862 forward to all the participants, witnesses, and ancestors of the battle, their generations, and their property? We still fail to trust each other. We still do battle when something of ours is threatened. We blindly follow the emotional responses of our leaders with out properly testing their validity! We hate our fellow human beings, and are far from Your forbearing Spirit! Heal us, give us faith in each other, and heal this battle-scarred land! Episcopal bishop Henry Whipple comes to Minnesota to “civilize” the Indians, but he also protests their mistreatment by the government. Great Holy Spirit, thank you for Bishop Whipple and his heart to know and minister to Indians. There are so many trigger points between Native Americans and our society that seem apparent to us now: ethnocentrism, casinos, property rights, and hunting rights to name a few. Perhaps these same flash points may not have been so obvious then? 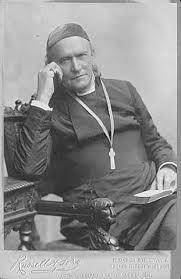 For example, the Bishop wants to “civilize” the Indians. Only You know what this meant to Whipple. He could have meant to Anglicize the Indians by teaching them about his culture, and underscoring the importance of a written language and education. He could have meant that we are civilized when we meet Jesus, and cease our rebellion against Him, ourselves, and others. He could have meant to turn them into good Anglo-American citizens. Whatever his motive Lord, I simply am aware of these judgments and counter-judgments that cloud the relationship between Your Native peoples and the rest of Minnesotas’ inhabitants. Will You forgive ALL Minnesotans’ our judgments? Will You hack any bitter roots that were planted by Henry Whipple, the Episcopal church, or other believers in 1859? Will You create a new relationship between Dakota and Your bride, the Church? Thank you for the mercy that was extended to the Dakotas by President Lincoln due to Whipple’s intervention. He stuck his neck out to save Native necks! May we continue to honor the lives You have given us, and even love the lives of those who oppose us! We are so far from Your tolerance and forebearance! We so easily forget that we once were rebels and enemies of Your kingdom of kindness, but You loved us while we were still sinners. May we imitate Your mercy and justice in the state of Minnesota! May You cause us and uphold us to be just! Will You “civilize” our hearts, and intervene for us in our deepest sorrows? Good Teacher, thank you for the benefits of the Lake Harriet Mission School for the Dakota. Thank you for the heart of providing education to all! It’s so good to share what we know and have it received. It is not easy to be the first. It takes boldness to reach out across cultural lines. On one side of this picture we have Dakota students who are reaching out to Stevens. Conversely, he is stepping out of his comfort zone to meet and teach members of an unfamiliar culture. Will You bless both sides of this exchange? Will You remember their boldness and trust to know each other? Each group is an exploratory party of sorts. May we never forget what its like to be an alien! Lord, I also want to acknowledge our separations that may begin as academic pride. We assume our knowledge will change our ‘underprivileged’. We often fail to pass on wisdom (good judgment), and even foster an academic culture that hesitates to recognize the merits of wisdom. As moderns, we cringe at even the word ‘judgement’, although one could argue that good judgment is the root of justice?! I feel prompted to acknowledge the potential judgments of Stevens and Williamson against the Pond brothers, and perhaps a spirit of competitiveness. Lord, will you forgive any heritage of academic or religious pride stemming from them forward to us if this is the case? Will you forgive the stinging pain of criticism towards or counter-judgments from the Ponds, the Dakotas, these first six students, or any other pertinent unaddressed party? 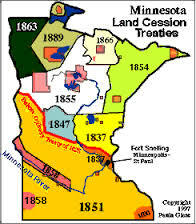 Will You free the land of Minnesota from these judgments, and bring the blessing of humility that we all have betrayed You, Your peoples, and our selves? Will You make us humble teachers and students of the “knowledge” You have revealed to us? Amen. *The current URL is www.dipity.com/Minnesota/History/Minnesota-History/ and only works if typed, not pasted, in browser. It is worth the effort!